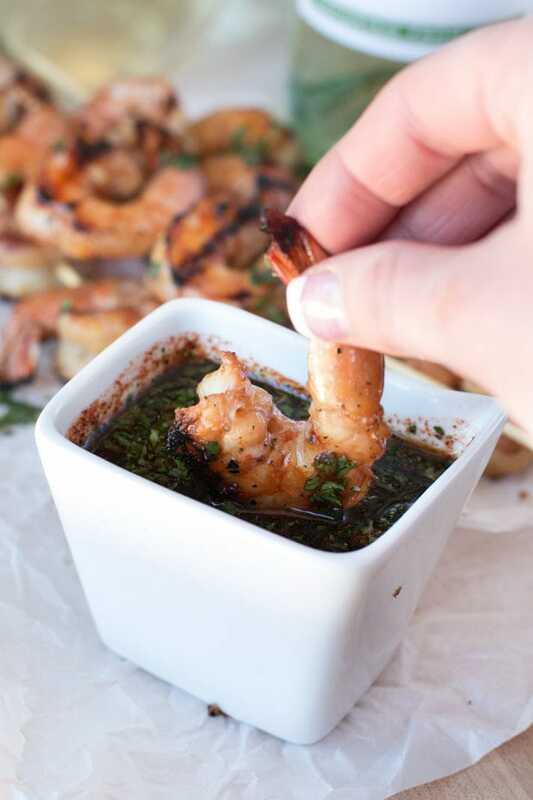 Mango Garlic Shrimp Skewers with Spicy Cilantro Dipping Sauce are tangy and juicy, making them the perfect appetizer for your next summer gathering. 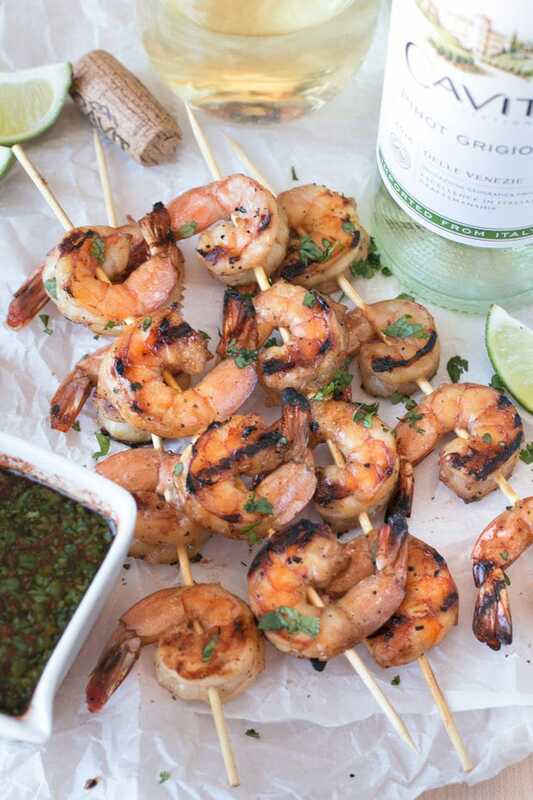 The mango garlic marinade infuses the shrimp with fresh flavor and when paired with a crisp pinot grigio, you’ll pick up all the fruity notes. Disclosure: This post is sponsored by Cavit! 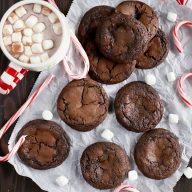 While I was compensated in exchange for this post, as always, all opinions and the recipe are my own. Thanks for supporting the brands that support Cake ‘n Knife! After a couple of days of crappy snow upon my return from Europe, the sun is shining and the weather in Denver is getting H-O-T. So naturally I’m ready to be outside as much as I can. Eating and drinking outside, mind you. Let’s be real, it’s not like I’m camping, hiking or kayaking… HA. 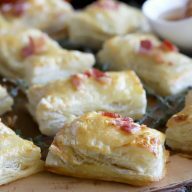 Summer patio parties scream for easy appetizers that can just be thrown on the grill. It’s so much better than heating up your kitchen and it gives you yet another excuse to enjoy that magical summer air. Marinades are my new favorite thing to master. It’s incredible to me how such a basic step (and an EASY one) can bring so much flavor to whatever you are cooking! 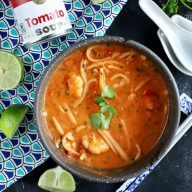 The mango gives a little fruity tartness and the agave brings in a subtle sweetness to the shrimp, not to mention keeping them plump and juicy. There’s only one thing that can make the experience of eating these skewers even better… a crisp glass of chilled Cavit Pinot Grigio. 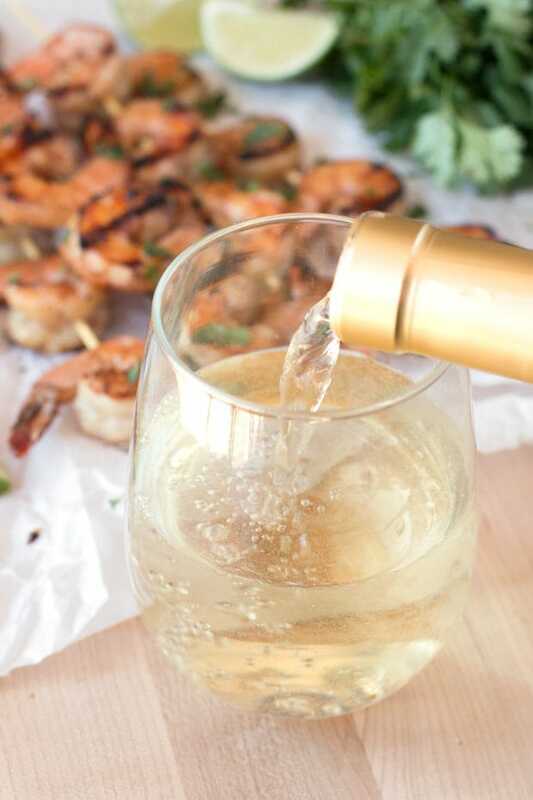 Cavit Pinot Grigio is light and refreshing, with subtle hints of citrus that pair oh-so well with the mango juiciness of the shrimp. When served chilled, it’s a way to relieve all that heat and makes for a fun pairing for this particular appetizer. 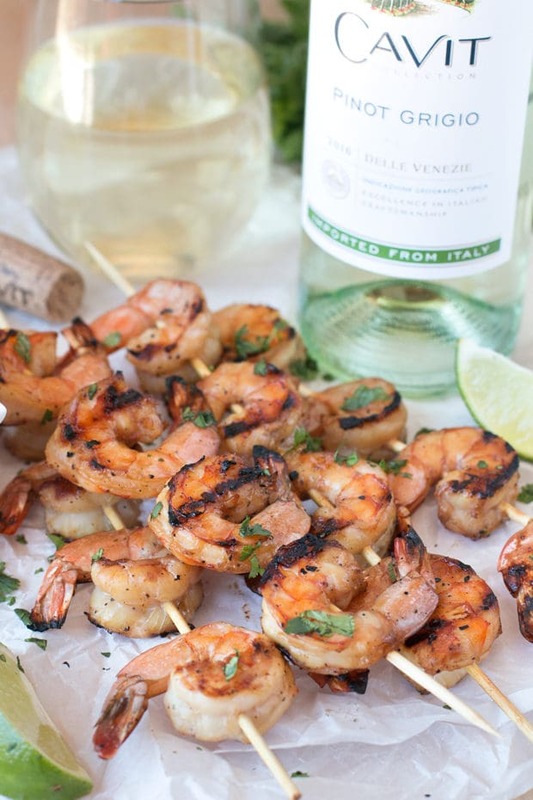 You’ll be wow’d at how much the wine brings out certain notes in the shrimp, and visa versa! The char from the grill, the fruity mango, and the tangy spicy dipping sauce are all just what your summer party ordered. because I like that there’s no cleanup… But if you are less lazy you can always snag these Kabob Skewers BearMoo 17″ Stainless Steel Skewers! or a Lodge Cast Iron Square Grill Pan. 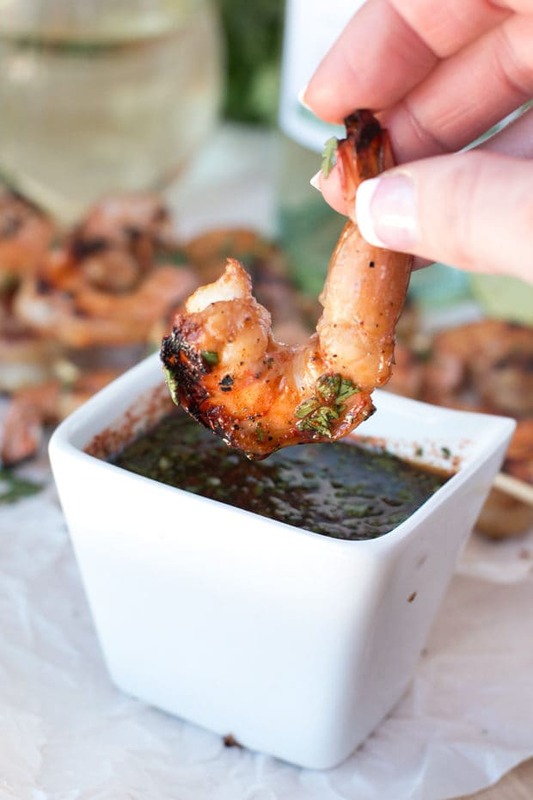 Pin this Mango Garlic Shrimp Skewers with Spicy Cilantro Dipping Sauce recipe for later! The mango in the marinade brings these charred shrimp to life! They are a stunning opener for any summer party you have coming up. In a medium bowl, whisk together soy sauce, agave, garlic, sliced green onion, and black pepper. Add shrimp and mango. Marinade in the refrigerator for 15 to 30 minutes. Place skewers in a shallow baking dish filled with cold water. Soak for 15 minutes. Pat dry with a paper towel. 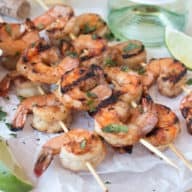 Remove shrimp from marinade and add to skewers, approximately 4 to 5 shrimp per skewer. Heat grill or grill pan over high heat. Season the grill with the oil. 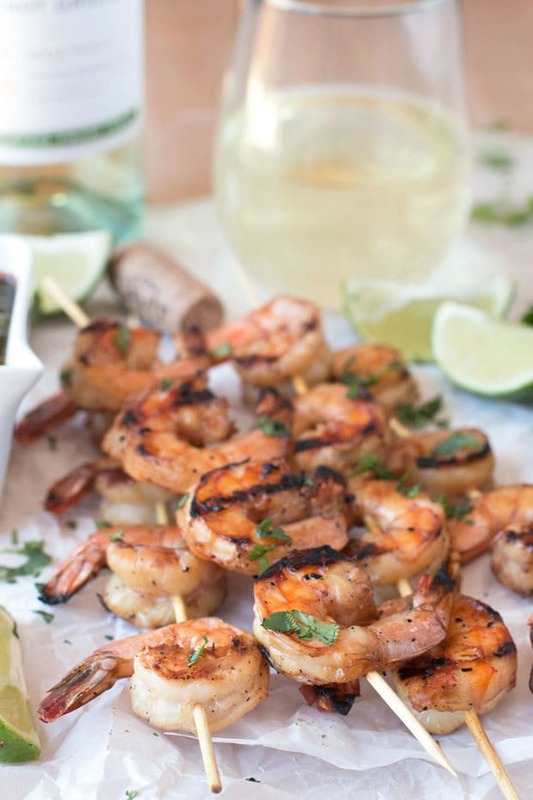 Once hot, grill shrimp skewers for approximately 2 to 3 minutes on either side. Remove from grill or grill pan once pink and opaque. Add to serving platter and sprinkle with chopped cilantro. Stir together ingredients for the dipping sauce in a small bowl. 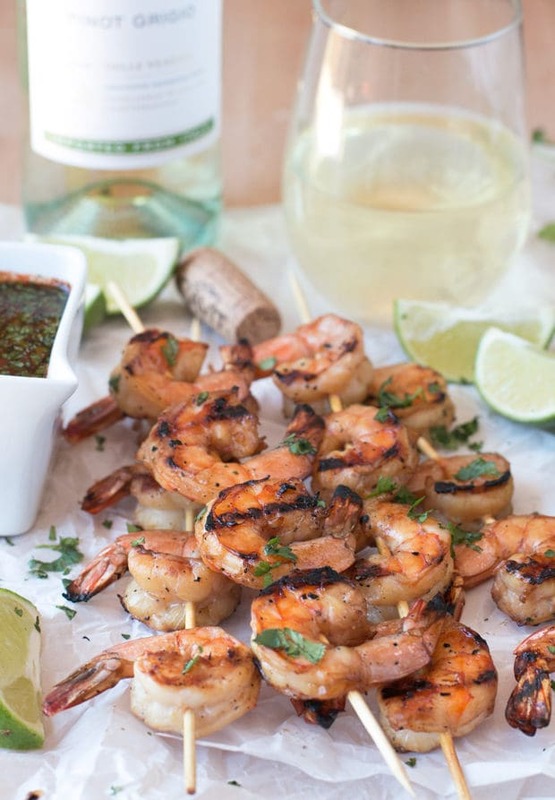 Serve with shrimp skewers and lime wedges. I’m loving all your marinades these days! Seriously. SO perfect for the grilling season! Thank you so much! I am in a marinade-obsession mode right now lol.